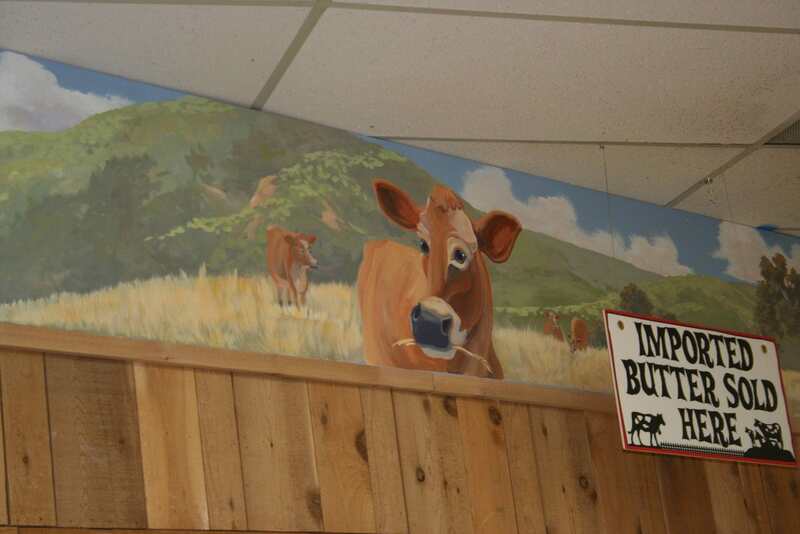 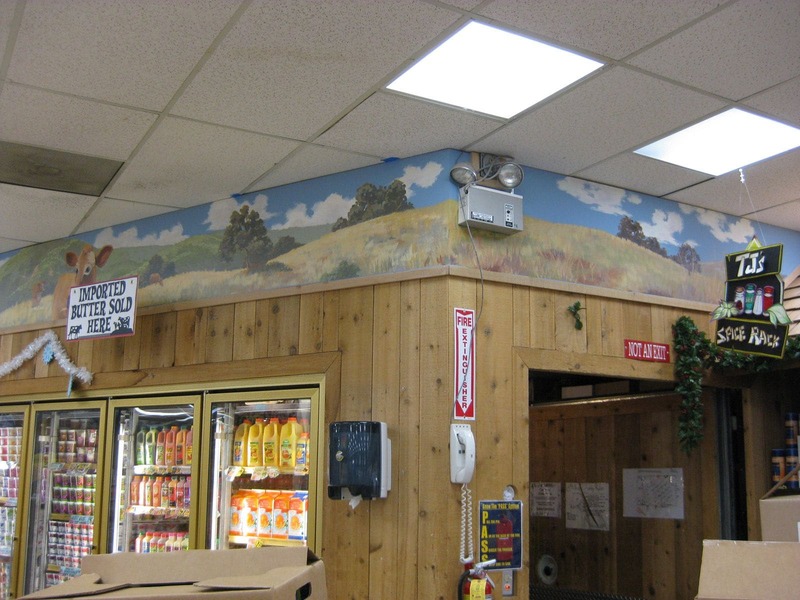 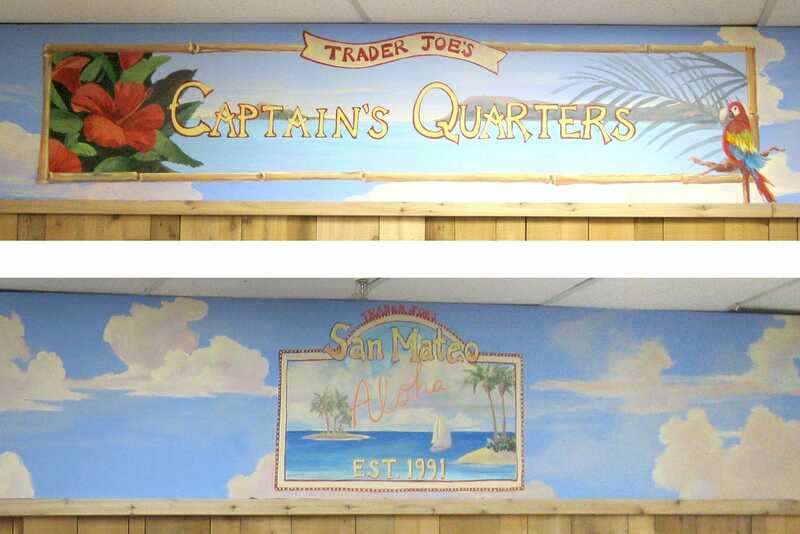 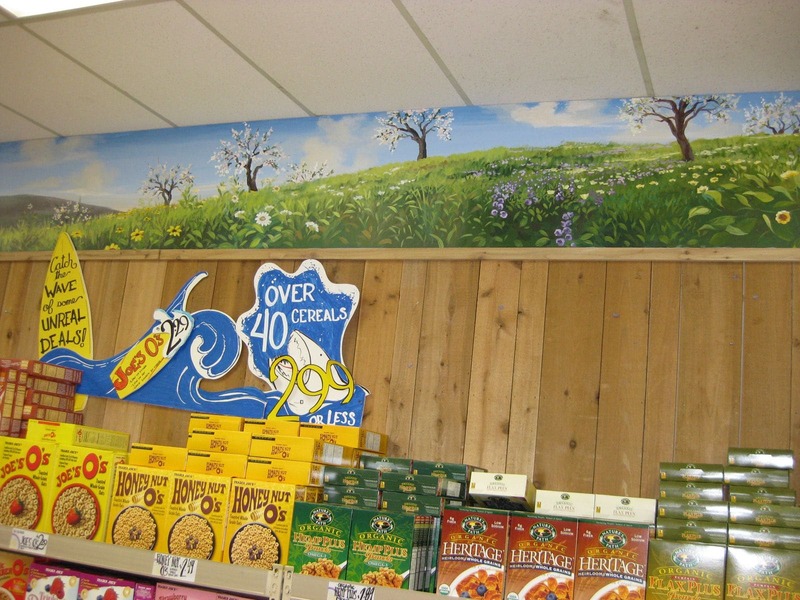 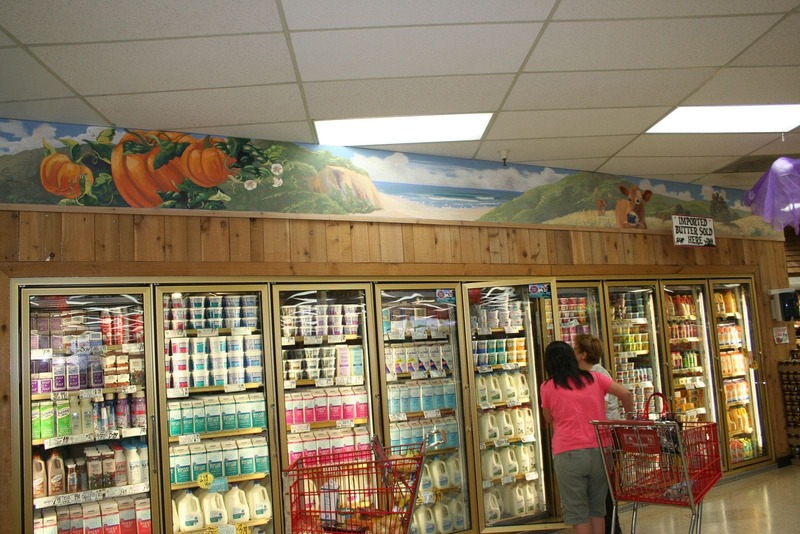 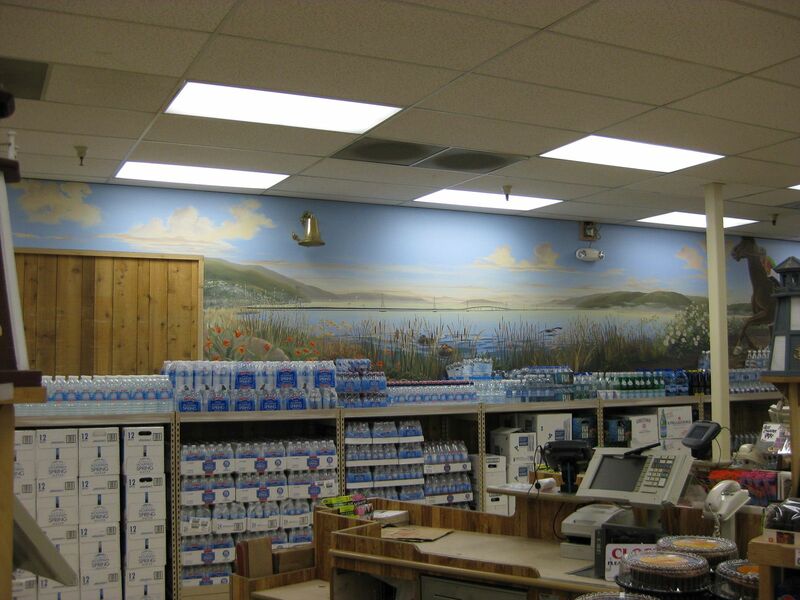 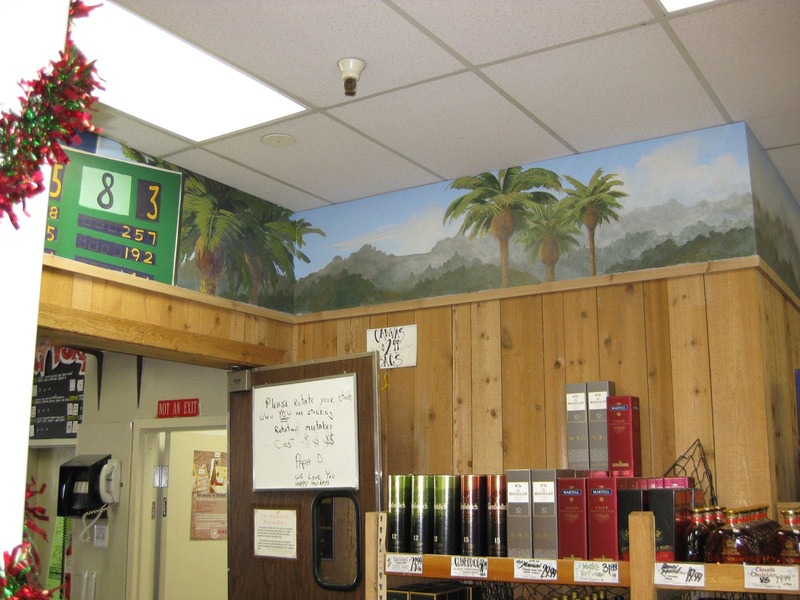 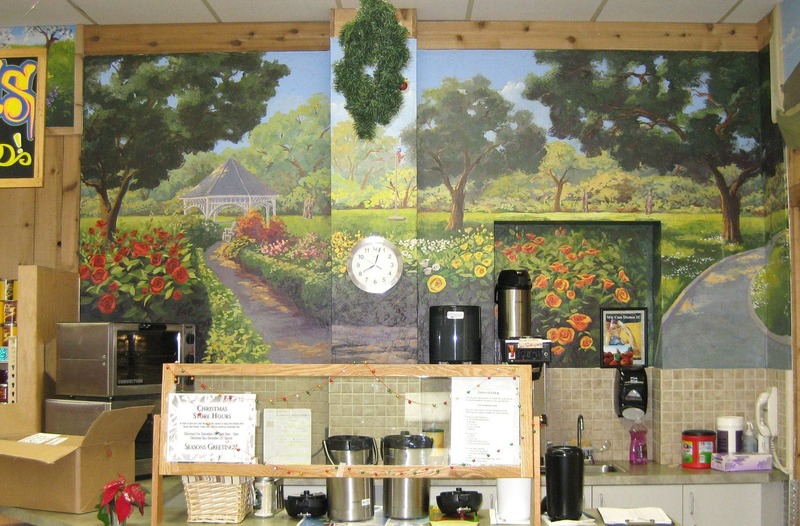 This mural was painted at Trader Joe’s in San Mateo. 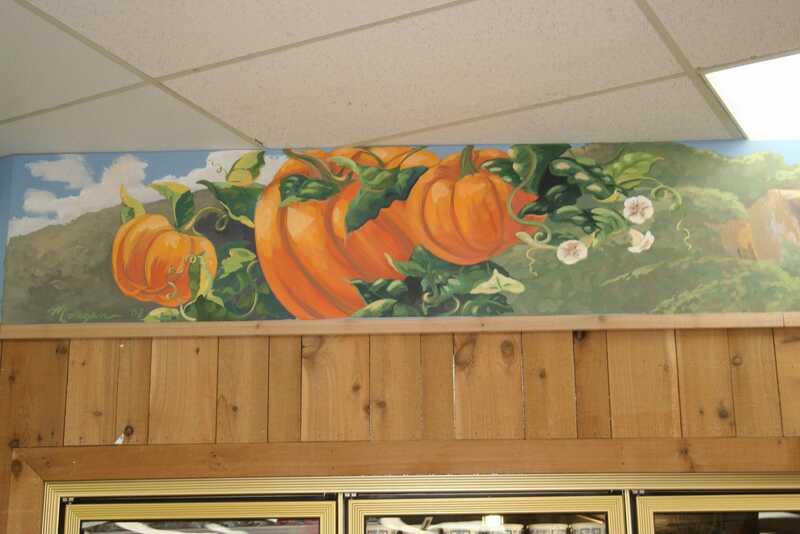 I painted the entire perimeter of the store on the 24″ tall drywall border. 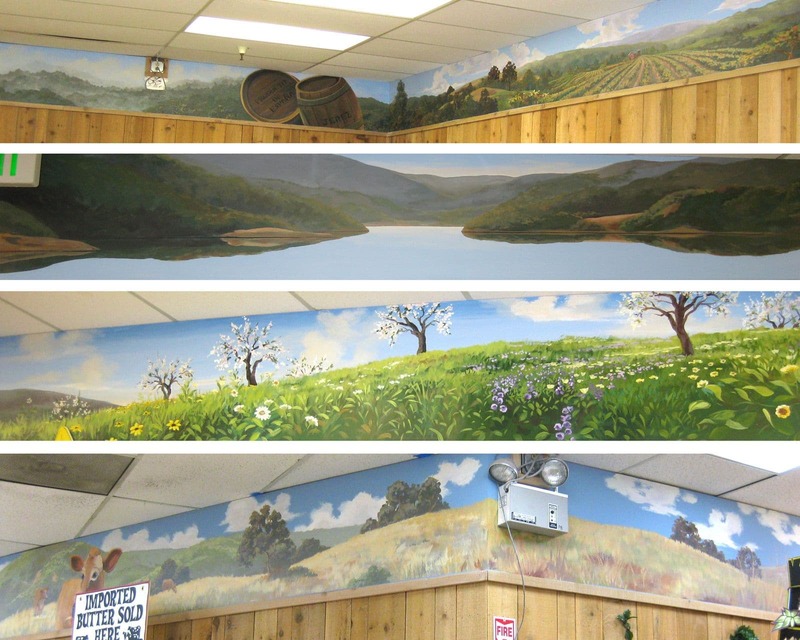 All along the border I painted local landmarks of the Bay Area. 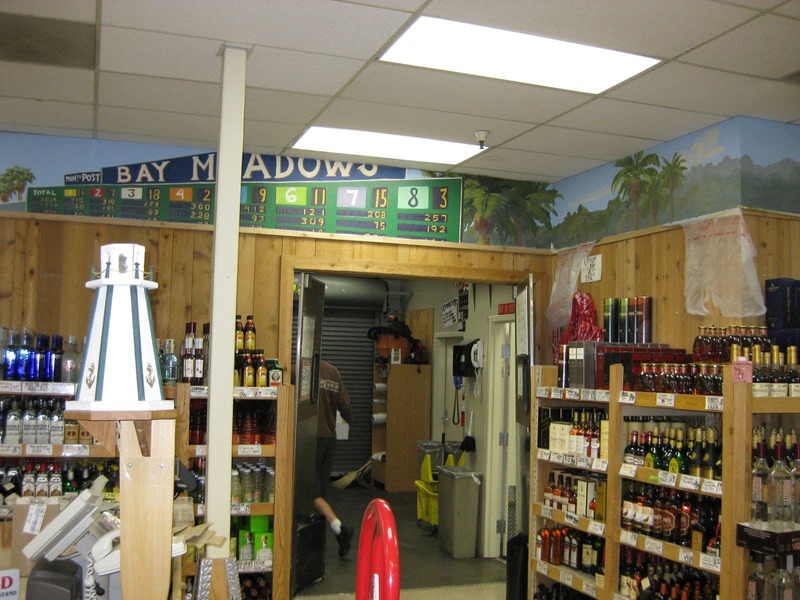 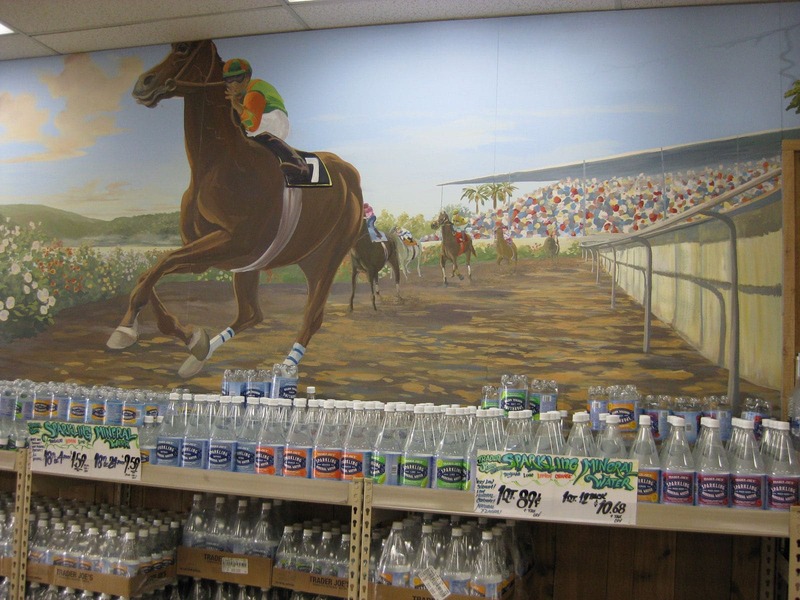 Including a scene of the now demolished Bay Meadows Race Track in the front of the store, which was 6’ tall and 30’ wide. 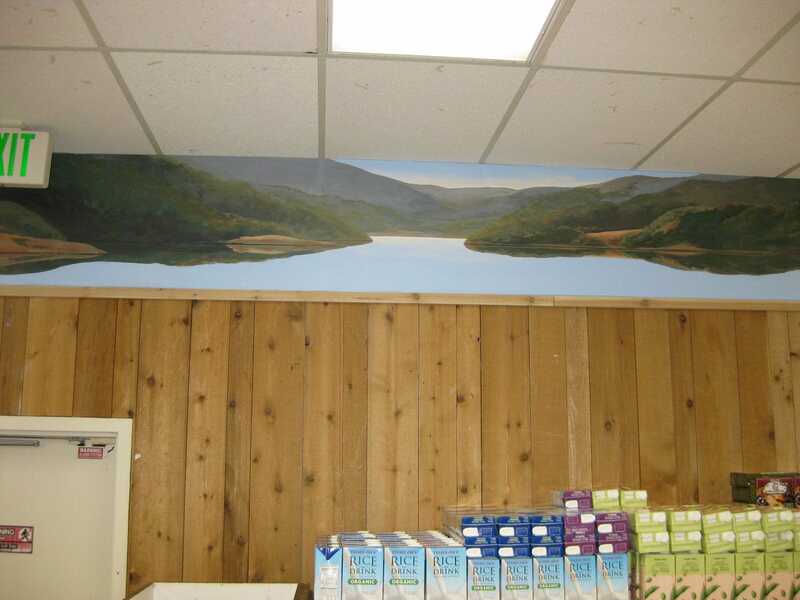 I also included the San Mateo Bridge, the Reservoir off Hwy 92, a foothills vineyard, the San Mateo Central Park (behind the demo booth), pumpkins, a seascape inspired by Half Moon Bay, and local dairy cows.